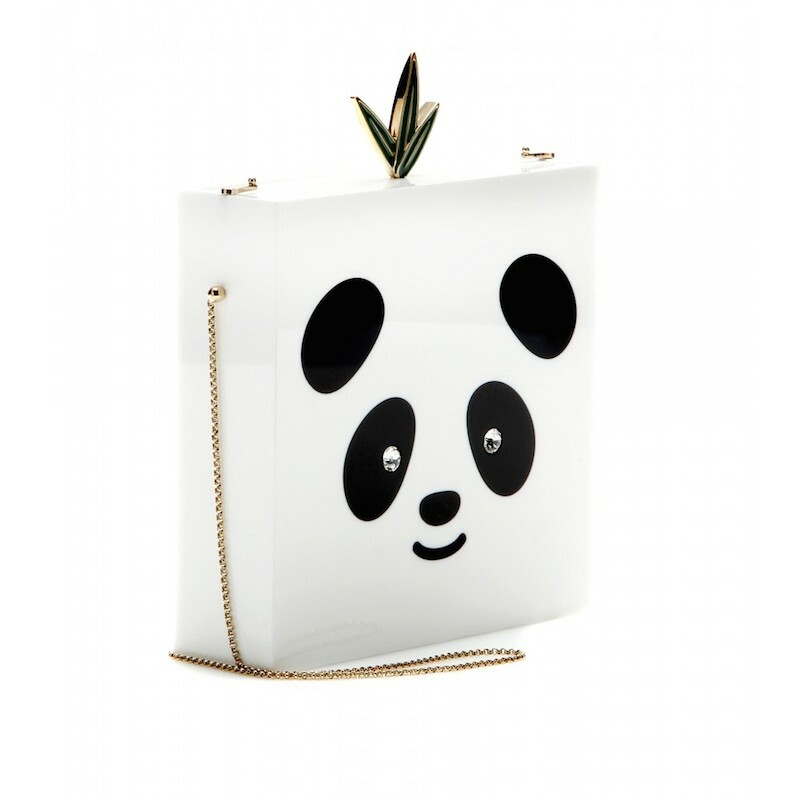 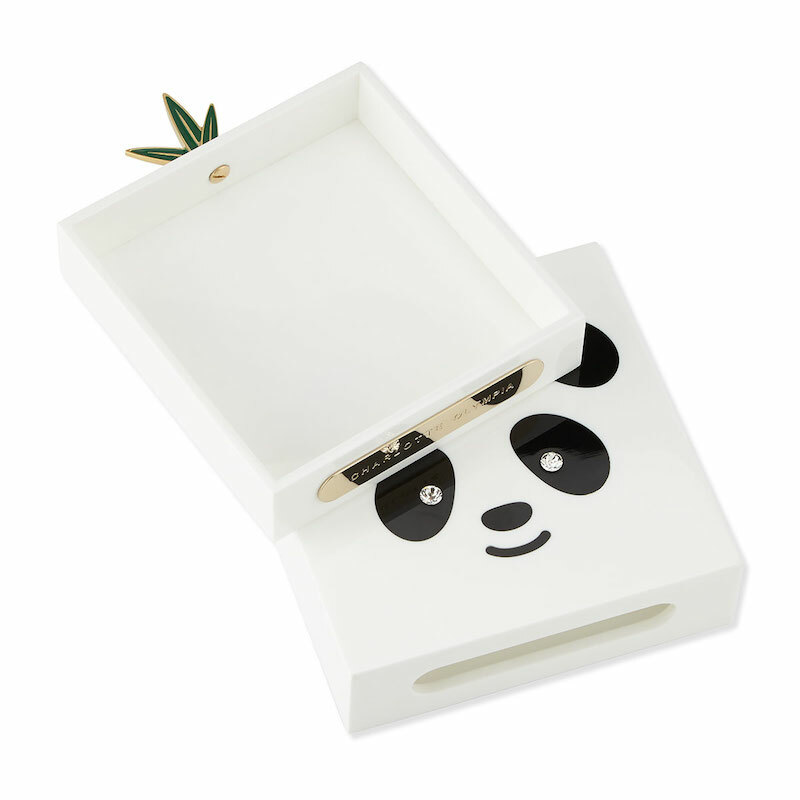 Inspired from the zoo, this lassic box clutch from Charlotte Olympia features a precious panda face with sparkling Swarovski crystal eyes printed on one side and a bamboo leaf fastening. 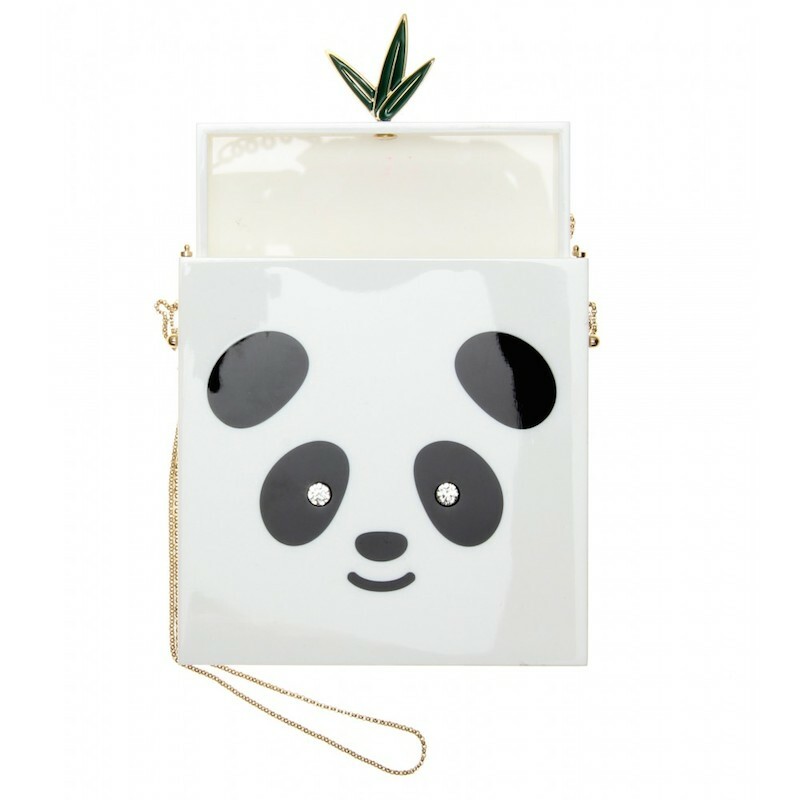 Designed with a distinctive slide-tray construction, a delicate goldtone chain strap provides a convenient carrying option. 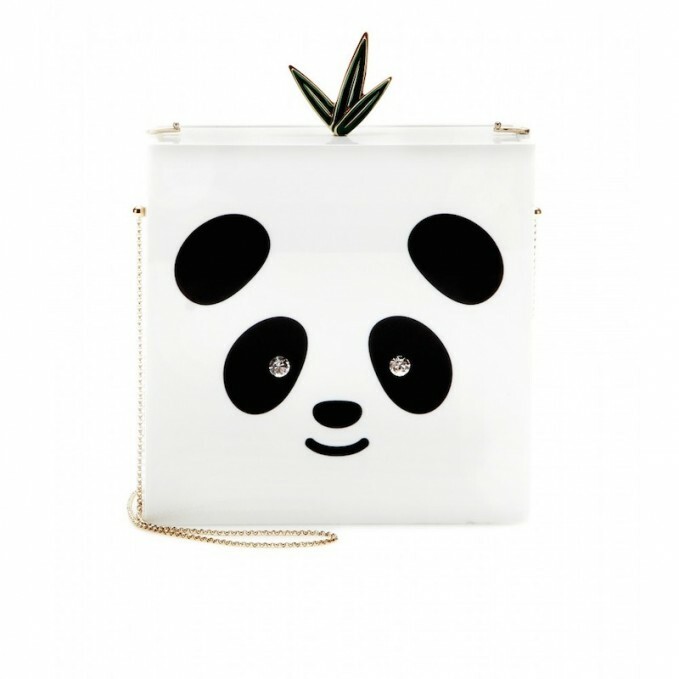 Get the Charlotte Olympia box clutch at Neiman Marcus.